Twenty-five years ago, Georgia voters faced a risky decision. Then-Gov. Zell Miller proposed the idea of a statewide lottery that would fund an ambitious Pre-K and college scholarship program. Though it was touted as a solution to the state’s brain drain problem – and a chance for millions of its students to pursue higher education, which might not have been possible otherwise – the question remained: Would it work? “The numbers speak for themselves,” says Tricia Chastain, executive vice chancellor for administration at the University System of Georgia (USG). Since 1992, when Georgia’s voters passed the Lottery for Education Act by fewer than 100,000 votes, more than 1.7 million Georgia students have gone to college with the HOPE and Zell Miller scholarships. Another 1.4 million of the state’s 4 year olds have benefited from the Pre-K Program. And in 2016, the Georgia Lottery celebrated its biggest milestone to date by delivering more than $1.1 billion for HOPE and Pre-K programs in a single year. As the Georgia Lottery embarks on its 25th year, it looks like the gamble has paid off. The most visible benefit of the Georgia Lottery is the HOPE Scholarship, a merit-based scholarship program for qualifying high school seniors who attend an in-state public college or university. Since its inception, the HOPE – Helping Outstanding Pupils Educationally – Scholarship has awarded more than $8 billion in scholarships and grants and contributed to a dramatic shift in the state’s educational landscape. That payoff, it turns out, wasn’t just for Georgia’s students. HOPE’s ripple effects can be seen in rising academic standards across Georgia’s higher education institutions – and in the number of other states (Florida, Tennessee and South Carolina, to name a few) that have founded their own lottery-funded scholarship programs hoping to duplicate HOPE’s success. Average high school GPAs for first-time freshmen at USG institutions rose from 2.68 in 1992 to 3.17 in 2014, an increase of almost half a letter grade. Average SAT scores are also trending up, rising 78 points from 1996 to 2014, according to USG data. This fortified higher education system has led to a stronger economy as well. Chastain points to one statistic – an approximately 15 percent increase in the percentage of Georgia’s workforce with a college credential pre- and post-HOPE – as evidence of its impact on building a qualified workforce, which has been credited with a number of high-profile company relocations inside state lines in recent years. But for all the transformation HOPE has enabled, it’s seen its own evolutions, too. Though HOPE might dominate the headlines, the lottery has another major educational beneficiary: Georgia’s Pre-K Program. “The HOPE Scholarship does definitely have more attention, but we would say that the Pre-K Program is just as important or more important than the HOPE program because we know that early learning is so important,” says Amy Jacobs, commissioner of the Department of Early Care and Learning (DECAL), which administers the Pre-K Program. “Over 90 percent of the brain is developed before the child turns 5, so if you pair that with a quality early learning experience, that’s setting them up for future success,” Jacobs says. Originally launched as a pilot program for 750 Georgia 4 year olds, the Pre-K Program was expanded to serve more than 8,700 at-risk children after the lottery’s early success. And in 1995, when the lottery continued to exceed expectations, the program, though not mandatory, was opened up to all Georgia 4 year olds. Unlike other states, says Jacobs, Georgia’s Pre-K Program has no qualifying requirements other than age and residence. In 2016, the Pre-K Program received $350 million in lottery dollars, a majority of which went back into the classroom to pay teacher salaries. The remaining funds cover operating costs and staff and consultant fees for those who work with teachers in each classroom. The program serves more than 80,000 Georgia children each year – about 60 percent of the state’s 4 year olds – in all 159 counties. Jacobs says the program’s biggest challenge at the moment is capacity: finding qualified spaces to expand the program. The state’s Pre-K waitlist hovers between 4,000 and 5,000 children, with the largest waitlist of approximately 1,000 in DeKalb County. But what exactly is a Pre-K education, and how does it benefit students? Georgia’s Pre-K Program bases its education on early learning and development standards that are aligned with the state’s K-12 standards. They cover cognitive and academic areas as well as social and emotional development. And research shows that a Pre-K education is beneficial. Longitudinal studies of Georgia Pre-K Program graduates conducted by the Frank Porter Graham Child Development Institute at the University of North Carolina at Chapel Hill show that graduates demonstrate consistent academic achievement. In the most recent report released in July 2016, researchers noted that Pre-K Program graduates made “significant gains” in language and literacy skills, math skills, self-knowledge and social skills at a rate greater than normal developmental growth. DECAL also manages two six-week programs that are partially covered by lottery funds – a rising Pre-K program and a rising kindergarten program – for students who might benefit from additional preparation. The rising Pre-K program aims to give Spanish-speaking students a boost before their Pre-K year to maximize their development through the program, and the rising kindergarten program aids children identified as needing more instruction before beginning kindergarten. After experiencing its most profitable year, what’s next for the Georgia Lottery? More of the same, says Alford: continuing to focus on creating engaging, relevant products to drive profits. And for good reason. As the sole funding stream for two highly popular education programs, there’s a considerable amount of pressure on the lottery to grow profits to keep pace with rising education costs. Though tuition costs did not rise for the 2016-17 school year, tuitions and fees increased 46 percent over the previous five years for Georgia’s public colleges and universities. Meanwhile, the lottery’s growth rate has slowed from the 8 percent rates seen in the mid-2000s (though 2016 showed a promising 8.6 percent rise). The average growth rate for the past five years is 4.86 percent. “You don’t have to be an economist to understand why it’s not going to be sustainable,” says Chip Lake, president of the Committee to Preserve HOPE Scholarships. Lake’s foundation, with Badertscher’s reporting, released a HOPE analysis in August 2016 forecasting a $70-million deficit in HOPE funding in 2028 – when today’s first graders will be entering college. In addition, the percentage of sales dollars funding award payouts continues to rise, while the percentage of net profits for the Lottery for Education Account continues to decline. In 2005, for example, prize awards accounted for 60 percent of lottery ticket sales, and net lottery proceeds for the education fund were 29 percent. Ten years later, prize awards rose to 65 percent, while net proceeds for education fell to 25 percent. In fact, a 2016 audit found that the lottery hasn’t met its legally suggested goal of 35 percent of net proceeds for education in 20 years. Still, even as those percentages fall, the total dollar amount invested grows. In its 25 years, the Georgia Lottery has increased education dollars every year except two: In 1998, proceeds fell 26.3 million, and in 2011, they fell 37.8 million. And though the lottery remains a top performer both nationally and globally – No. 2 in U.S. total per capita sales and No. 5 in worldwide total per capita sales according to trade pub LaFleur’s Magazine – driving profits continues to be its main focus. So, what’s the key to maintaining player interest? “A lot of research,” says Alford. 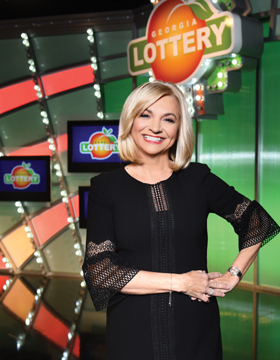 The lottery’s product development team continuously analyzes sales trends, gathers retailer and player feedback on current promotions, and conducts focus groups on new initiatives to gauge market interest and target the most promising strategies. “There’s a lot of thought that goes into it: a lot of analytics, innovation and looking for best practices in other jurisdictions,” she says. The lottery launches about 60 new scratch games per year, but approximately 35 percent of sales comes from best-sellers that have been in the marketplace for years – sometimes decades. The Jumbo Bucks family of products, originally introduced in 1996, is a persistent top performer, surpassing the $10 billion mark for all-time retail sales in the state last summer. Maintaining player interest also means showing them things they haven’t seen before. This idea has been translated into partnerships with popular brands like The Walking Dead, Kia and Harley-Davidson; tie-ins with local sports teams; higher price point tickets; and novelty packaging, including oversized tickets, multi-scratch cards and ticket bundles. Alford’s team also looks for new, digital channels to find players outside the retail environment. In 2015, the Georgia Lottery became the first in the nation to launch an interactive app, taking the lottery to players’ smartphones and tablets. Alford sees the digital arena as a growing opportunity, and her team is evaluating leveraging technology in its retail environments as well. Meeting the challenges that a mature lottery faces – especially one that funds massively popular educational programs – is not an easy task. But the strategy to overcome them is a familiar one, according to Alford.